July 30, 2010  Northwest Pakistan has been hit by its heaviest rains in 80 years. The storms are affecting some 400,000 people from the tribal areas. There is also flooding in the Pakistani capital, Islamabad, and its sister city, Rawalpindi. 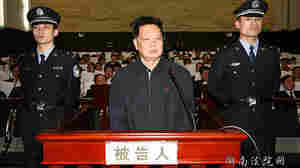 July 30, 2010  Behind China's complicated economy exists a vast underground economy of corruption and bribery. A recent case in which an anti-corruption official was convicted of taking bribes -- and now awaits execution -- shows how endemic and open a secret the problem is. 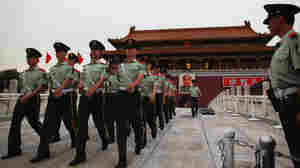 July 29, 2010  A seldom-seen aspect of China's ambitious military modernization is the plight of demobilized soldiers who have fallen through the cracks -- and who have Beijing worried. Many veterans are taking to the streets to protest lack of jobs, health care and other benefits. 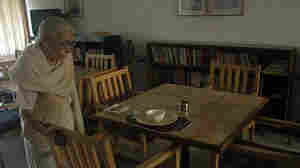 July 29, 2010  On the surface, they appear to be simply farmyards, hotels or guesthouses run by provincial governments. In fact, they are part of a network of extrajudicial detention centers known as "black jails," where local governments hold people who come to Beijing to complain about abuses. July 28, 2010  The domestic plane carrying 152 passengers and crew slammed into the hills surrounding Pakistan's capital Wednesday morning as it attempted to land amid poor weather conditions, officials said. Two American citizens were among the dead, according to the U.S. Embassy. July 28, 2010  China is aiming to raise nearly $120 billion to develop its high-speed rail system. The transport minister said Wednesday Beijing wants to build more than 3,500 miles of high-speed lines in the next two years. 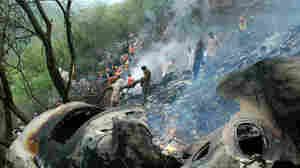 July 28, 2010  A passenger jet carrying 152 people crashed into the hills surrounding Pakistan's capital Wednesday. Scores of bodies have been recovered from the area near Islamabad. No survivors have been found amid the wreckage of the Air Blue plane. 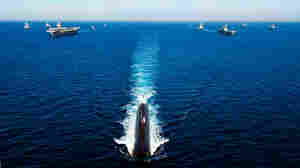 July 27, 2010  U.S. and South Korea began naval exercises off the coast of the Korean peninsula on Sunday; North Korea promised "sacred war" in response. The U.S. has considered how it would respond to two major scenarios in connection with Pyongyang: war and collapse of the regime. Each holds its unique challenges. July 27, 2010  Traditional Indian values are clashing with modern mores in northern India, which is experiencing a reported upsurge in murders of young couples who elope in defiance of caste boundaries and their families' wishes. Now, the government is struggling to balance tradition and law. July 27, 2010  Reporter Mark Mazzetti was one of several reporters from The New York Times who sifted through the 92,000 secret military documents leaked by WikiLeaks. He explains how the Times worked to verify the information in the documents -- and what the information means for the future of the war in Afghanistan. July 23, 2010  In China, the vast following of a folk goddess of the sea illustrates the remarkable rebirth of local popular religion since the Cultural Revolution. 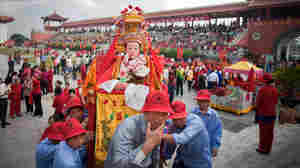 Now, China's communist leaders are supporting worship of Mazu as "cultural heritage" and using it to advance their own political and economic goals. July 23, 2010  Secretary of State Hillary Clinton lashed out at belligerent acts by North Korea, human rights abuses in military-run Myanmar and, in a sign of new U.S. attention to the Pacific, claimed the resolution of thorny territorial disputes in the South China Sea to be in America's national interest.